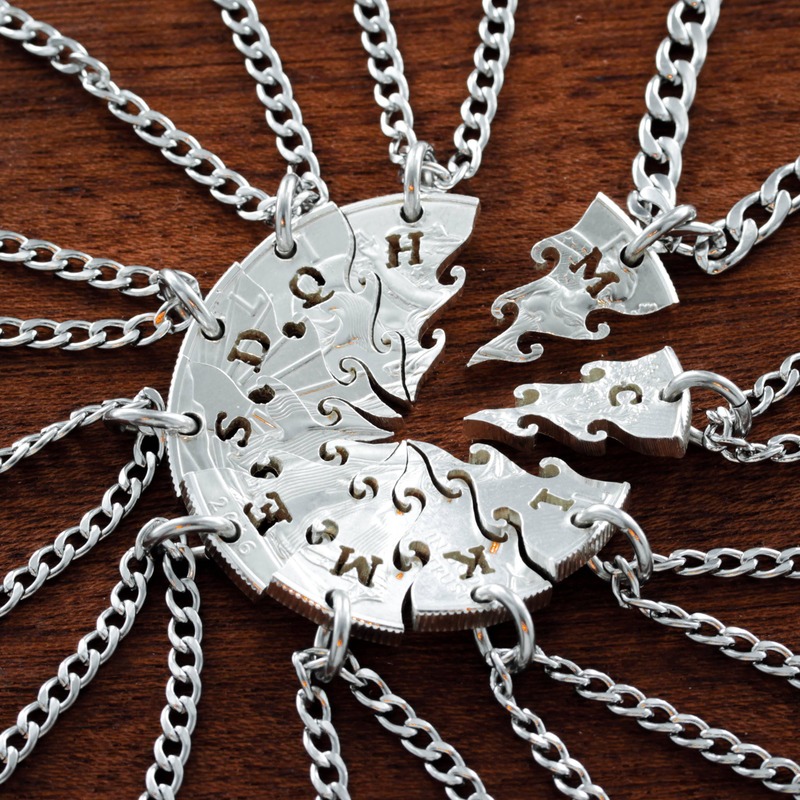 This is an extensive 10 puzzle piece necklace set. 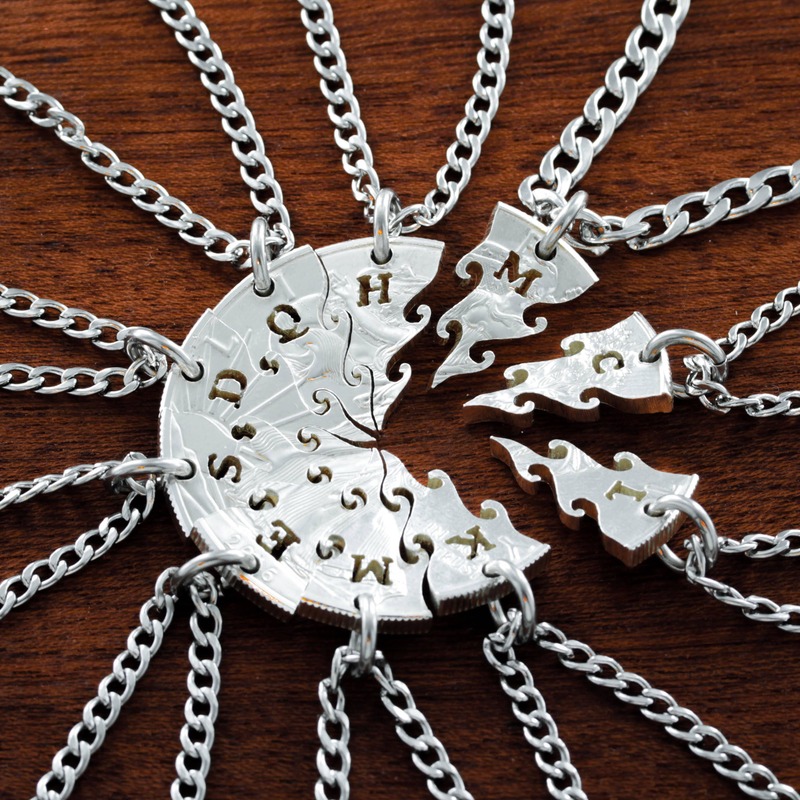 It fits together perfectly and each piece is personalized with an initial. It is a perfect gift to unite a family. It also would work just as well for a wedding party. We made our Interlocking designs because we wanted to create something that unites people. Either friends or family. You give part to your special family and every time they look at it, they think of their bond and the pieces that fit it just right. 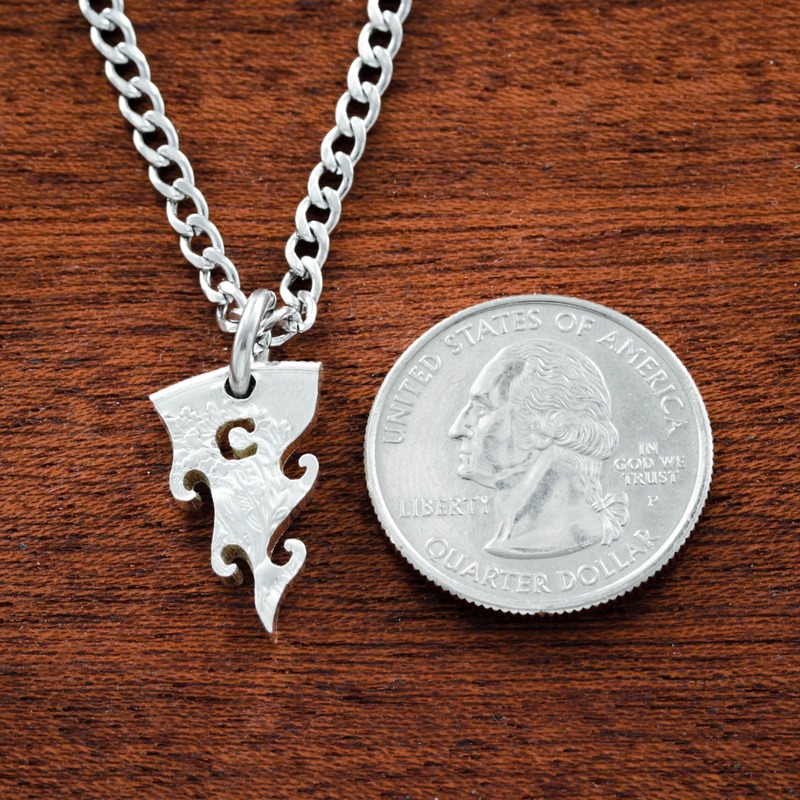 This is made from a silver dollar. It has been cut by hand with a jeweler's saw. We do not use cutting machines of any kind. You can see from the pictures how meticulous we are. 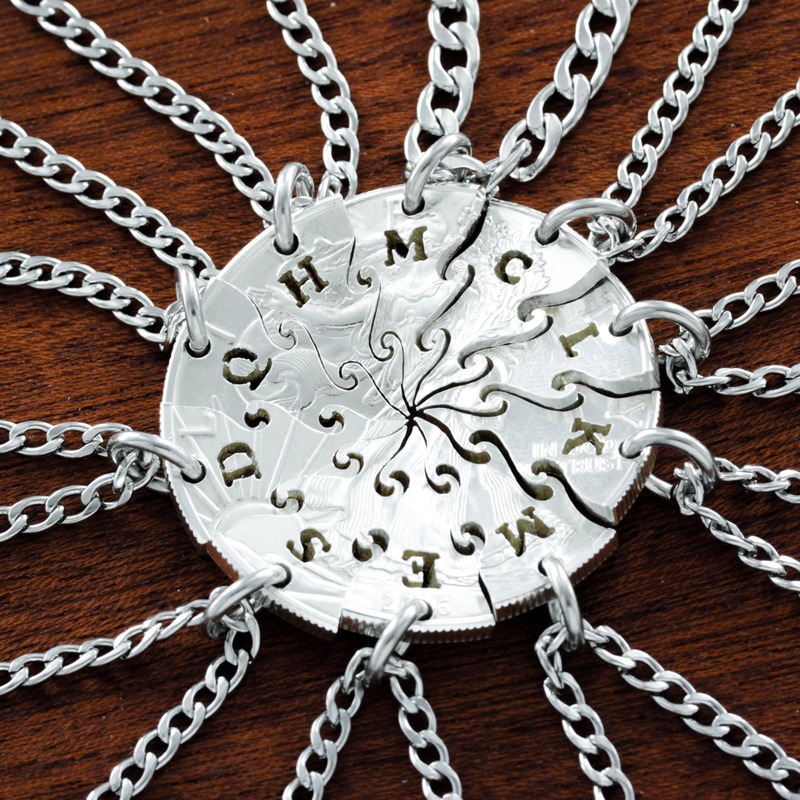 Please let us know which 10 initials you would like on the necklaces. 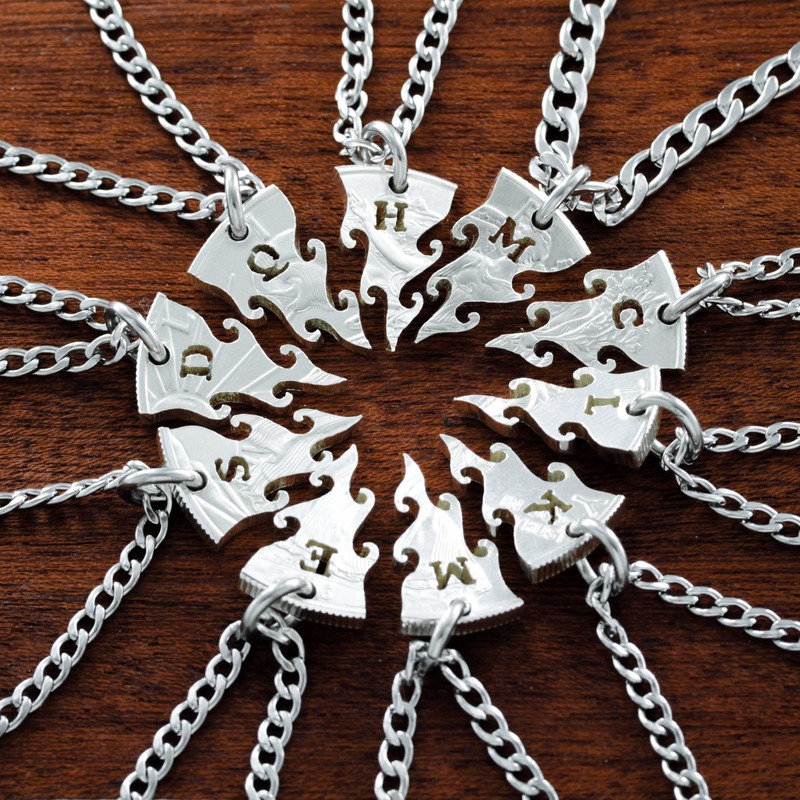 Also, Please let us know which chains or key chains you would like for each of the 10 pieces in your order comments. Please contact us if you want something similar to this design for your wedding or family.